The proper and correct option would be to deny all asylum claims for those people. If these people are truly wanting asylum for legitimate reasons, there's no reason they would not go to an official port of entry. The ones crying asylum only after being caught illegally entering the country are only doing so as a tactic to delay their deportation. The Pentagon has directed U.S. military commanders to stop calling the deployment of active-duty troops to the southern border “Operation Faithful Patriot,” a name derided by critics as overtly political while President Trump played up the mission in stumping for Republican candidates. The decision was acknowledged Wednesday after the midterm elections, and it was not immediately clear what name the military operation may ultimately take instead. A second Pentagon spokesman, Chris Sherwood, said that simply referring to the military operation as “border support” is a “more accurate description” because the Department of Homeland Security is overseeing it. The news was first reported by the Wall Street Journal, which said the directive was issued by Defense Secretary Jim Mattis’s office on Election Day. He has sought to shield the military from politics, with mixed results. The operation has come under fire from some retired generals, who say it unnecessarily thrusts the military into politics. Trump sought to characterize migrants traveling north through Mexico from Central America in a “caravan” as an “invasion” of the United States. 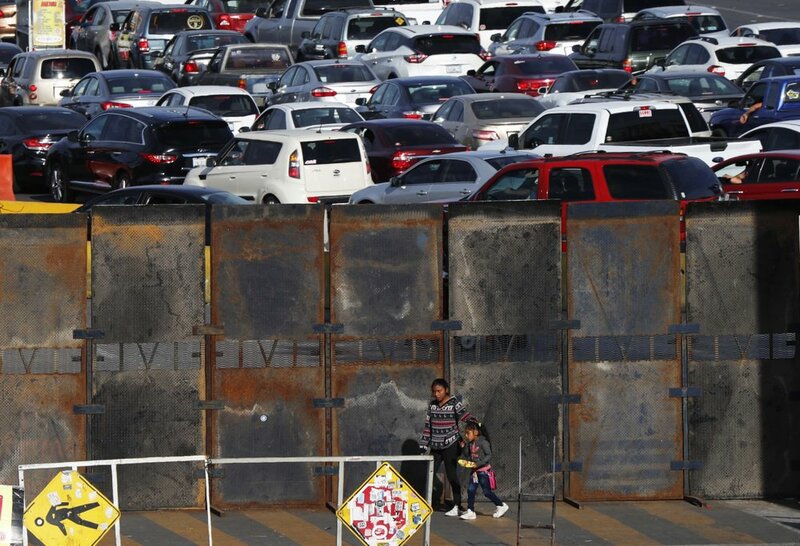 In reality, the group is believed to consist almost entirely of families who could legally apply for asylum at ports of entry at the border. The operation, announced Oct. 29, is in support of the Department of Homeland Security and Customs and Border Protection. The Pentagon has sought to stress that it has only a support role, while the president has suggested that the military will face the migrants at the border. Army Col. Rob Manning, a Pentagon spokesman, told reporters Monday that the administration specifically asked for active-duty service members to deploy for the operation. They are limited in what they can do by the Posse Comitatus Act, which prohibits federal military from involvement in most domestic law enforcement missions in the United States. About 5,200 active-duty troops were expected to be involved in Faithful Patriot by Monday. The military has deployed the U.S. military to the border before, but not in such large numbers of active-duty troops in a century. More typically, National Guard units, which operate under state authority, are called upon to provide support. The U.S. military has released dozens of photos and videos in recent days of service members on the border, including some Tuesday of Air Force Gen. Terrence O’Shaughnessy, chief of U.S. Northern Command, visiting service members deployed to Davis-Monthan Air Force Base as part of the operation. To date, the Pentagon has not allowed any independent media to cover the operations and provide a fuller account of what is occurring. Could be wrong but I think this cat will be out the door pretty soon. Way too much baggage. "Refugees and migrants are entitled to the same universal human rights and fundamental freedoms, which must be respected, protected and fulfilled at all times." The UN has denied that migration is being made into a human right. The agreement goes on to enumerate the work that states must initiate to accommodate migrants. Times past that we need to say fk u to the UN and get out of it. SAN DIEGO, Calif. — A contingent of active-duty Marines deployed this week to the California-Mexico border to join the growing border support mission ordered by the Trump administration. The about 1,100 Marines tapped for the mission are assigned to Special-Purpose Marine Air-Ground Task Force 7 from the Camp Pendleton, Calif.-based I Marine Expeditionary Force, according to U.S. Northern Command. NORTHCOM is overseeing the military support to the U.S.-Mexico border mission for the Department of Homeland Security and U.S. Customs and Border Protection. “Military personnel will provide a range of support including planning assistance, engineering support (temporary barriers, barricades, and fencing), fixed and rotary wing aviation support, medical teams, command and control facilities, temporary housing for Customs and Border Protection personnel and personal protective equipment for CBP personnel,” according to I MEF officials. 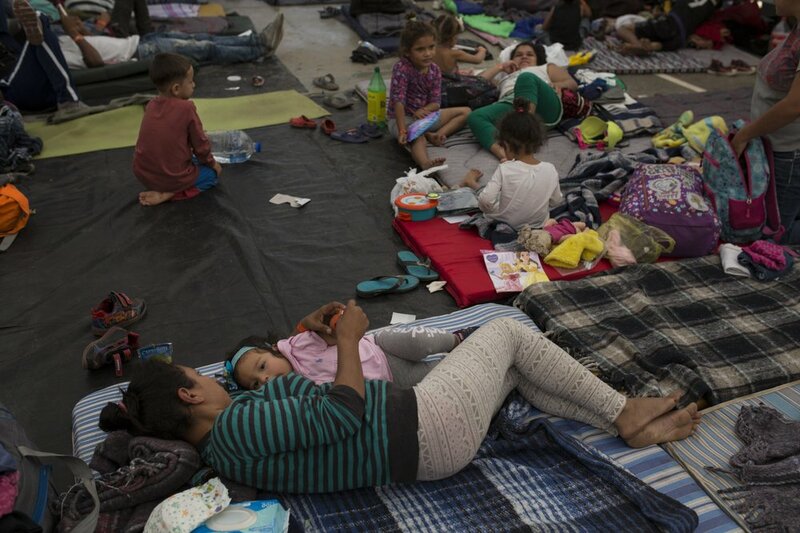 The latest military deployment orders for the mission along the Southwest border came in a presidential response to the movement north through Mexico of caravans of Central American migrants intent on requesting asylum in the United States. 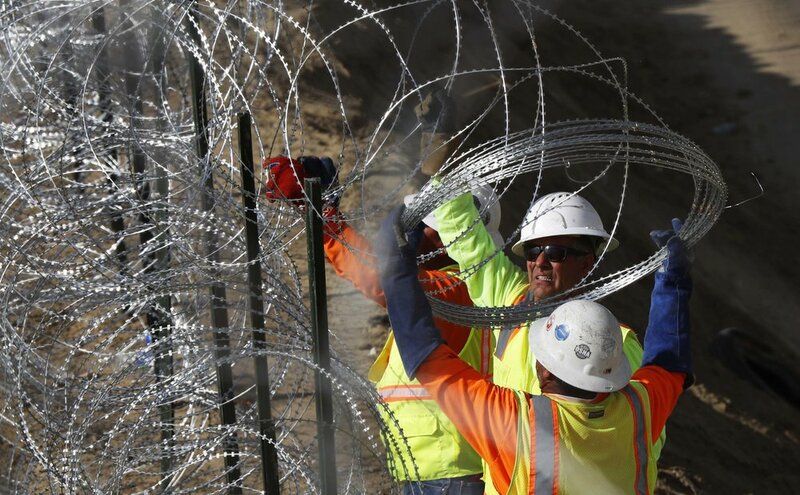 On Thursday, a group of Marines set out heavy machinery and wire along the border near San Diego, bolstering security along some stretches of existing border walls. “We are hardening, if you will, the fence here, putting up concertina wire to make that wall less scalable,“ a SPMAGTF-7 spokesman, 2nd Lt. Frederick Walker, told the San Diego Union-Tribune. The task force is providing the federal agencies with “planning assistance, engineering support (temporary barriers, barricades, and fencing), fixed and rotary wing aviation support to move CBP personnel, medical teams to triage, treat and prepare for commercial transport of patients, command and control facilities, temporary housing for CBP personnel and personal protective equipment for CBP personnel,” Walker said in an email to USNI News on Friday. The Marines joined several hundred California National Guard soldiers in the mission, which includes 1,300 active-duty troops assigned in California, 1,500 in Arizona and 2,800 in Texas, according to NORTHCOM’s most-recent tally. “DOD has a long history of support for DHS and CBP in their mission to secure the U.S. border. All units supporting USNORTHCOM’s mission to support CBP will adhere to authorities, law and policy,” according to NORTHCOM. Marine Corps and Navy bases in Southern California have been designated to support the border mission. The deployment to the U.S.-Mexico border isn’t new to Marines, who have participated in federal missions along the border for several years. Earlier this year, Marines with 2nd Ground Sensor Platoon from Camp Lejeune, N.C., deployed to southern Texas on a counter-drug surveillance mission for Joint Task Force North. In 2016, ground sensor platoons worked with the U.S. Border Patrol in Texas emplacing sensors to help detect and monitor illicit drug and human trafficking. 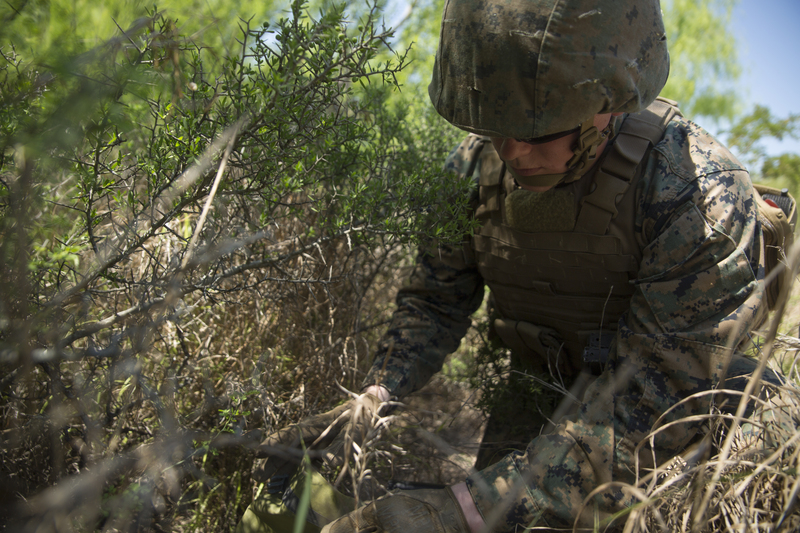 Marines with 2nd Intelligence Battalion’s ground sensor platoon did similar work during a 2011 deployment. 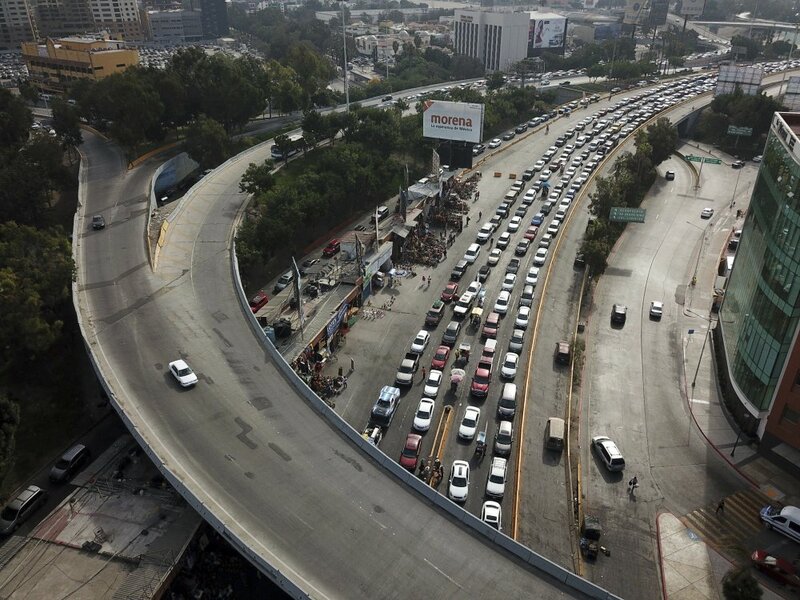 Rush today said they are setting up the next caravan to come here. It will contain 5 MILLION people. The progressives are getting their way, they might go for it all. Senate Republicans are meeting with President Trump on Thursday afternoon to try to sell him on a proposal that would stave off a government shutdown next month but likely stop short of giving him all the money he wants to for a wall on the U.S.-Mexico border. Trump has been warned by his staff that he may not get the full $5 billion he has demanded for new wall construction, according to a person briefed on the discussions who was not authorized to reveal deliberations. Senate Democrats say they won’t agree to $5 billion, and Republicans said they intend to remind the president of the constraints imposed by the 60-vote margin that gives Democrats significant leverage in the Senate. “That’s what we’re going to talk about. That’s what we’ve talked about before, what’s doable. Doable. Not what you want sometimes, what’s doable,” said Senate Appropriations Chairman Richard C. Shelby (R-Ala.), who will attend the White House meeting along with Majority Leader Mitch McConnell (R-Ky.) and Sen. John Thune (R-S.D. ), the No. 3 Republican. 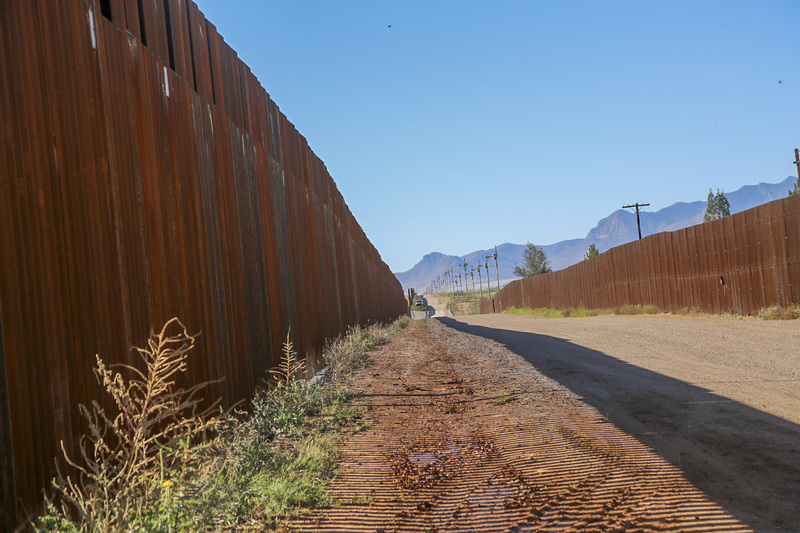 The total cost of a wall that spans the border is projected to exceed $20 billion, but Trump has signaled he wants at least $5 billion in funds for work over the next year. He initially threatened to shut down the government on October 1 if Congress didn’t give him the money, but GOP leaders warned such a tactic would hurt them during the midterms. Trump relented under pressure, in part because he was promised that Republicans would work to secure the money in early December. The bulk of the government, including the Pentagon, has already been funded through next September, but a partial shutdown would still lead thousands of federal workers to be sent home without pay and could cause challenges throughout the country. Shelby declined to detail the options that would be offered to the president. “We’re dealing with the wall. The wall is the dynamic here. If we resolve that I think the others will basically fall into place,” Shelby said. The talks come following midterm elections where Democrats retook the majority in the House of Representatives in a sharp rebuke to Trump. But for now, Republicans remain in the majority in both chambers, and paying for the wall is a priority for many conservatives in the House who are facing their last gasp of power in Congress’ current lame-duck session. “I don’t know how this is going to end,” Sen. John Cornyn (R-Texas), said Thursday. Sen. Richard J. Durbin (D-Ill.), the No. 2 Senate Democrat, said Thursday that he doesn’t anticipate Democrats agreeing to more than the $1.6 billion they’ve already signed off on for the 2019 fiscal year. Durbin, a longtime champion for permanent protections for immigrants brought illegally to the country as kids, said he was not aware of talks to make a deal on these “Dreamers” in exchange for money for Trump’s wall. Such deals have been attempted repeatedly under Trump’s presidency only to collapse in the end. What we need is a republican majority in the congress then Trump could get his programs passed. SAN FRANCISCO, Nov 20 - A U.S. judge on Monday temporarily blocked an order by President Donald Trump that barred asylum for immigrants who enter the country illegally from Mexico, the latest courtroom defeat for Trump on immigration policy. CNN's Catherine Shoichet contributed reporting. Something tells me, that the ACLU should be renamed the Central America Civil Liberties Union. They are standing up for the rights of illigal aliens, than standing up for the citizens of the US. So who is in these caravans??? Terrorists? Drug Cartel members? Rapists? Contagious disease carriers (ebola, etc.). Unbelievable. Illegal aliens have a right to come into this country and claim asylum. Will end up supported by taxpayer funded public assistance, too. Build the Wall and make no apology for it! WASHINGTON — The Department of Homeland Security is gathering intelligence from paid undercover informants inside the migrant caravan that is now reaching the California/Mexico border as well as monitoring the text messages of migrants, according to two DHS officials. "Those resources have to come from some place. They are not being devoted to thwarting terrorist threats, mass shootings, mailed fentanyl coming into the country or cyber attacks," said Cohen. In a statement, DHS Spokeswoman Katie Waldman said, "While not commenting on sources or methods, it would be It would be malpractice for the United States to be ignorant about the migrants — including many criminals — attempting to entry our country. We have an obligation to ensure we know who is crossing our borders to protect against threats to the Homeland and any indication to the contrary is misinformed." According to Military Times, defense officials say that hte language in the new directive was "carefully crafted to avoid running up against the bedrock legal limitations set in Posse Comitatus." That said, "Even [an executive order] couldn’t overcome Posse Comitatus," says Willaim Banks, author of "Soldiers on the Home Front: The Domestic Role of the American Military” and the former director of the Institute for National Security and Counter-terrorism at Syracuse University’s College of Law. The new report appears to contradict a story from Tuesday in the Los Angeles Times that the Trump administration would begin withdrawing the troops. In fact, it appears that the pulled troops would primarily consist of engineering units which have finished their task of installing razor wire and physical obstacles at border crossing points - while the original scope of the mission had authorized a deployment until December 15, unless the Department of Homeland Security requested an extension. PALM BEACH, Fla. — President Donald Trump made a Thanksgiving Day threat to close the U.S. border with Mexico for an undisclosed period of time if his administration determines that its southern ally has lost "control" on its side. Several White House aides and external advisers who have supported the president’s hawkish immigration agenda attended the Monday meeting, which devolved into a melee pitting two of Trump’s embattled aides, White House chief of staff John Kelly and Department of Homeland Security Kirstjen Nielsen, against other attendees, according to three people briefed on the exchange. Kelly and Nielsen argued against signing the declaration, which granted the military broad authority at the border, telling the president that the move was beyond his constitutional powers. They were vocally opposed by, among others, senior policy adviser Stephen Miller; Chris Crane, president of the National Immigration and Customs Enforcement Council; and Brandon Judd, president of the border patrol union. Also present was Vice President Mike Pence, who did not take a stand on the issue, according to one of the people briefed on the debate. The bitter dispute ended Tuesday evening when Kelly, on Trump’s orders, signed a Cabinet declaration granting the military the disputed authority. The move ran afoul of the guidance offered by the White House counsel, Emmet Flood, who cautioned that it was likely to run into constitutional roadblocks, according to a second source familiar with the conversations. The signing of the declaration, which vests Nielsen with the power to request military action to protect U.S. Customs and Border Protection agents, appeared to take Defense Secretary James Mattis by surprise. It’s an indication of the extent to which immigration policy in the Trump White House is engineered by a small group of hawks, including Miller — and, as a result, has often caught other stakeholders off guard. Mattis appeared not to have seen the order before it was signed, telling reporters at the Pentagon on Wednesday, “I’m reviewing that now.” He also suggested he was aware that Kelly had signed the order at Trump’s insistence: Kelly “has the authority to do what the president tells him to do,” Mattis said, adding that regardless of what he himself is asked to do, he will not order troops to violate the law. The move comes at a time of intense speculation over both Kelly’s and Nielsen’s future in the administration. Since the midterm elections, the president has told friends and associates that he is intent on firing Nielsen, but has yet to make a move. He has criticized her repeatedly for what he views as her weakness on immigration and border issues, matters on which Kelly has repeatedly come to her defense. Kelly has argued, for example, that Nielsen bears no responsibility for the rising number of apprehensions at the southern border, and White House aides speculated that he had signed a declaration he personally opposed — and that empowered her to take actions she had also resisted — in another effort to protect her position. The president’s move on Tuesday is also illustrative of the extent to which, on immigration in particular, he has stretched the limits of his constitutional powers, preferring to issue executive orders rather than work through Congress. It’s an instinct that has been encouraged by advisers like Miller, who have pointed out that previous presidents have extended the powers of the executive branch further. A federal judge on Tuesday temporarily suspended an executive order that denies asylum to all migrants who cross the border illegally, and a federal appeals court earlier this month ruled that Trump’s decision last year to end the Deferred Action for Childhood Arrivals program, which granted legal status to children brought into the country illegally, was unconstitutional. The tense White House meeting came after the commander overseeing the mission at the southern border, Army Lt. Gen. Jeffrey Buchanan, told POLITICO earlier this week that the 5,000-plus troops deployed there did not have the authority to use lethal force — or to conduct any law enforcement activity on U.S. soil.